MOSCOW, September 12. /TASS/. 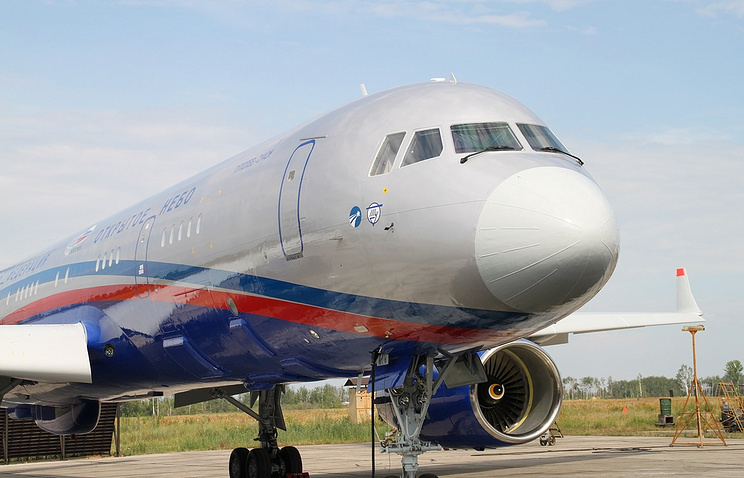 Russia seeks the US side’s explanations for its refusal to certify Russia's advanced Tu-214ON surveillance plane for inspections under the Open Skies Treaty, Chief of Russia’s Nuclear Risk Reduction Center Sergei Ryzhkov told the Krasnaya Zvezda newspaper on Wednesday. "In breach of the Open Skies Treaty provisions, the head of the US delegation refused to sign the final document, without giving any explanations or reasons, and citing direct instructions from Washington," he said. "We insist that the US side return to the Open Skies Treaty framework and demand that the current situation be explained with reference to the treaty's provisions." The Russian official also reiterated that Russia "remains committed to the Open Skies Treaty, a cornerstone of the European security." According to Krasnaya Zvezda, the official paper of the Russian Defense Ministry, a total of 72 experts from 23 states visited Russia’s Kubinka airfield near Moscow on September 2-11 to certify the advanced Tupolev Tu-214ON plane with Russian-made digital observation equipment for inspections under the Open Skies Treaty. The heads of all delegations, except the US one, confirmed the aircraft’s full compliance with Open Skies Treaty provisions and signed a document authorizing the plane’s observation flights above territories of the treaty’s signatories. "By refusing to certify the Russian aircraft for observation flights, the US side has once again demonstrated to other states participating in the certification process that it puts political matters above the plane’s compliance with the treaty’s provisions. The US governmental agencies and establishment cannot tolerate the fact that the United States was left more than 5-7 years behind when Russia designed a modern surveillance aircraft and equipped it with domestically produced digital equipment," Ryzhkov said. The Treaty on Open Skies was signed in 1992 and came into force in 2002. It currently has 34 member states. The treaty establishes a program of unarmed aerial surveillance flights over the entire territory of its participants. Observation flights are made over the territories of the United States, Canada, European countries, and Russia. The main purposes of the treaty are to develop transparency, render assistance in monitoring compliance with the existing or future arms control agreements, broaden possibilities for preventing crises and managing crisis situations within the scope of the Conference on Security and Cooperation in Europe and other relevant international organizations.